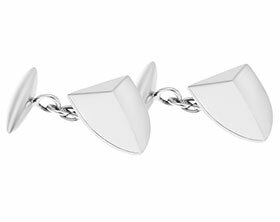 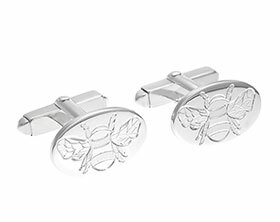 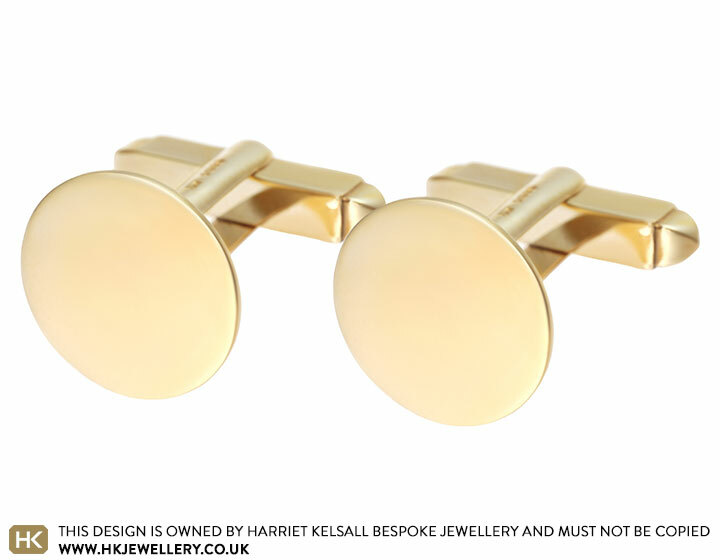 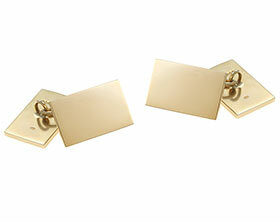 These cufflinks are a contemporary rework of a classic design.The polished 9ct yellow gold disk is about 15mm across and they are secured with a hinged back. 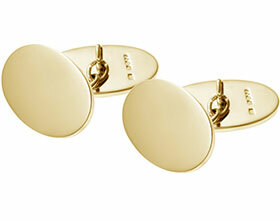 A pair of bespoke 9ct yellow gold oval diamond cufflinks. 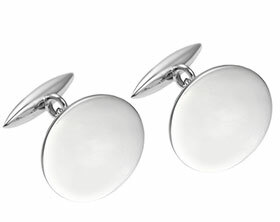 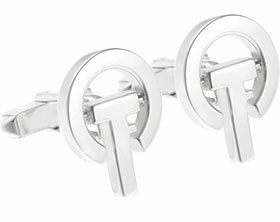 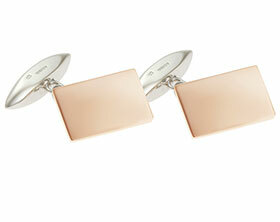 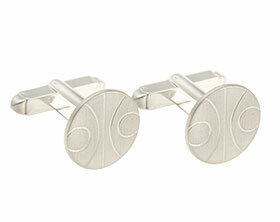 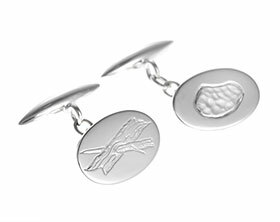 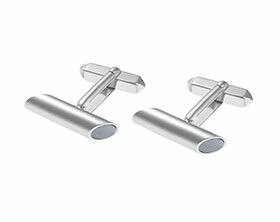 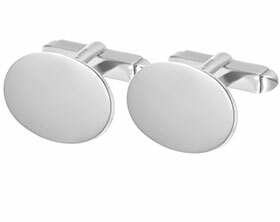 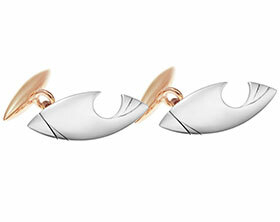 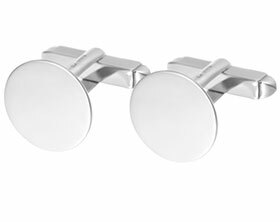 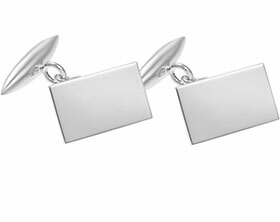 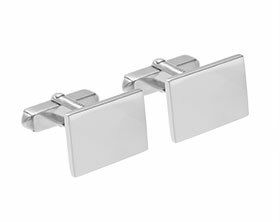 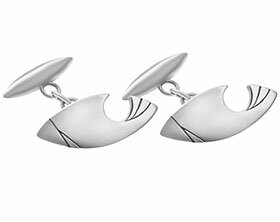 Sterling sliver double back oval cufflinks with engraved initals. 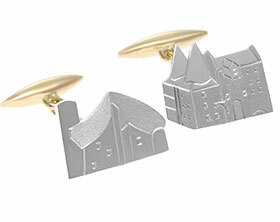 Trinity College Library inspired cufflinks. 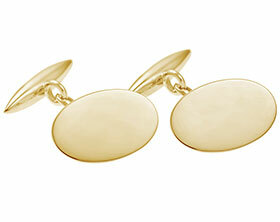 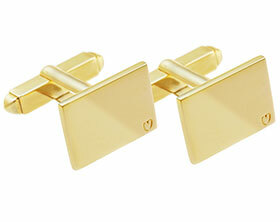 Bespoke Sterling silver cufflinks with overlaid 9ct yellow gold.